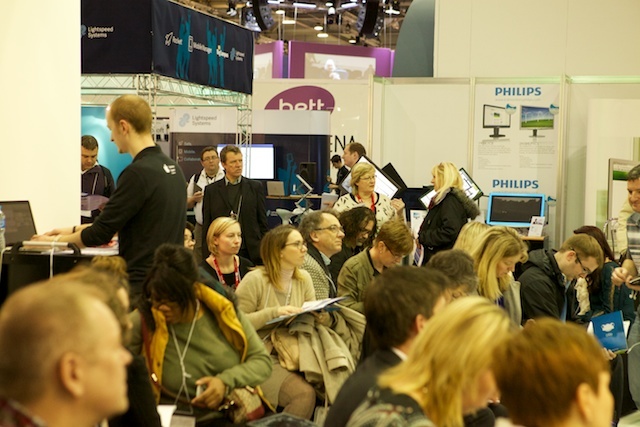 So, I’m just back from another great week presenting at the BETT show. 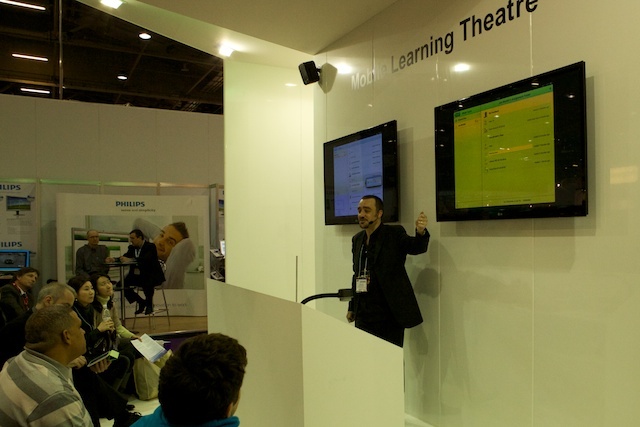 This is the thrid year I’ve been lucky enough to be asked by Toucan and AT Computers to present workshops for teachers at the BETT show, and I think this year was probably the best yet! It was an absolute pleasure to spend a week with two good friends and fellow Apple Distinguished Educators, Joe Moretti and Julian Coultas and throughout the week we presented workshops on a whole variety of iPad related classroom workflows. There were many highlights during the week and I’ll no doubt be blogging about them over the coming days. To give you a little flavour of the week, I’ll mention just a few of the apps and tools we looked at; Showbie, Garageband, Nearpod, Labdisc and Globisens, Book Creator, Explain Everything, printopia, me-drive by Kanex, iBooks Author and iTunes U. The focus was very much on pedagogical approaches and classroom workflows that deeply integrate learning and technology – I hope we managed to deliver on our promises! Another great tool that we have been exploring at school is Nearpod (www.nearpod.com). This allows teachers to create engaging and interactive presentations for the iPad with embedded video, quizzes, open ended discussion points and free drawing sections. Nearpod accepts pdf or jpeg slides which can easily be created in Word, Pages, Powerpoint or Keynote amongst others, so it is also relatively easy to repurpose existing presentations and worksheets. Nearpod also provide a library of ready to use presentations including some from the Khan Academy, which can provide either a starting point or inspiration for creating your very own Nearpod presentation. It works brilliantly in a classroom situation where you want to guide the students through some parts of the presentation, and maybe watch a video and answer some quiz questions. Students can connect to the presentation using a simple code (which can even be emailed to them). The teacher can see when students are connected to the Nearpod presentation (and more importantly if they move off the Nearpod app) and Nearpod also collates any data that students enter during the session (giving the teacher useful formative assessment data), which can be emailed as an excel file or analysed in more detail on the Nearpod site. Until very recently there were separate apps for teacher and student, but the latest update has combined them into a single app, as well as adding some additional features. This video gives a good idea of how Nearpod works. Nearpod is completely free, and the free account allows teachers to create and save 10 nearpod presentations. There are now also paid school editions, which allow a school to subscribe a group of teachers giving them unlimited storage of presentations. A number of teachers at our school have been trying Nearpod out in their classrooms, and so far it has been a big hit with the students who seem to really like the interactivity and engagement opportunities Nearpod provides to augment existing lessons. If you haven’t tried it yet, I would highly recommend giving it a go! I think Nearpod is a great way for teachers and other presenters to engage their audiences when information needs to be presented. Used creatively, new features like the slideshow which allows you to create a series of slides that the class can work through at their own speed combined with quizzes and open ended discussion questions also offer some powerful formative assessment tools too!